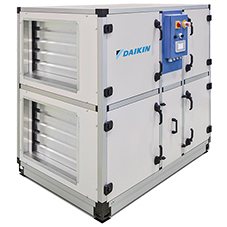 Daikin Applied and Daikin Applied Service are pleased to announce the launch of their new Daikin on Site remote monitoring systems for their Modular AHU range. 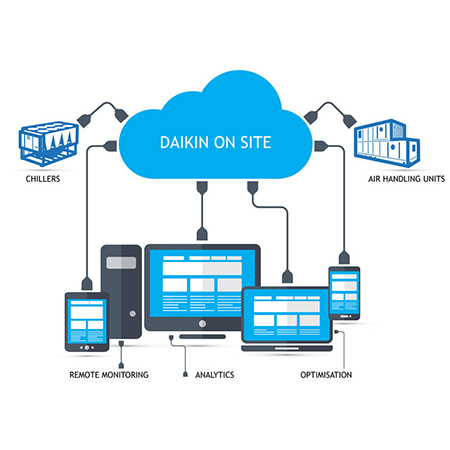 Daikin on Site has been developed by Daikin Applied’s applied chiller engineering design team and service division to provide a browser based real-time view of a sites chiller operation. In-field service engineers have been able to work with onsite facilities management teams to ensure that the design and delivery matches all client requirements and that the cloud based IoT solution is both easy to setup and has the flexibility required to meet the widest possible range of customer demands. 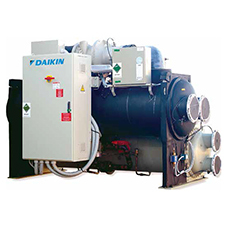 The software is now included with all Daikin Applied UK chillers, ready to be enabled by their service team. The client only has to connect a LAN or 3G/4G modem solution to enable the web data transfer. New Daikin on Site also allows integration of chiller plant room systems on the new cloud based platform. The data transfer itself is fully secure via event based outbound communication and connections that are encrypted over HTTPS to prevent wiretapping or man in the middle attacks without the need for a VPN connection. Users get access to web based real-time information available 24hours a day 365 days a year as well as personalized dashboards, historical working condition data and alarm history, automated reporting and access to multiple site installations. 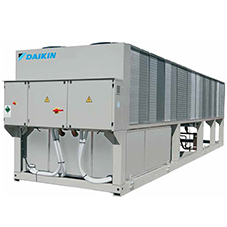 Daikin on Site allows remote monitoring and operation of the chiller equipment both in real time and based on historical trends. This can include energy usage via an energy meter but also includes all operating parameters of the compressor, fans, refrigeration circuits and thermal load. This information allows DAPS UK to build up an operational view of the equipment, which leads to tailored maintenance to customer specific needs and over time builds up a real picture of the units operation including load profile and energy use. Energy Efficiency – up to 20% lower energy cost when unit is controlled and working in an optimised operational envelope, which can only be achieved with real world site working conditions. Remote assistance – allowing for faster reaction and better preparation prior to service engineer site attendance. Alarm – any alarms generated by the unit are emailed to the helpdesk 24 – 7 meaning shorter resolve times. Breakdown – fault diagnostics can begin before an engineer arrives on site, making sure that the right parts are brought to site and the equipment can be up and running with minimum disruption. Life Expectancy – interaction with the client and adjustment of the chiller configuration together with the smarter service solution will increase the life of the chiller.